John Napier's name has been given to the Neper lunar crater, which has a diameter of 85 miles. Napier's father was a teenage parent. He was only about 16 years old when John was born. Inventing a portable calculating tool – 'Napier's bones'. Napier was a hugely influential figure in the 17th century. He is widely considered to be the first Scotsman to have made a significant contribution to scientific learning. He was respected by mathematicians and scientists worldwide, notably Galileo, Johannes Kepler and Isaac Newton. 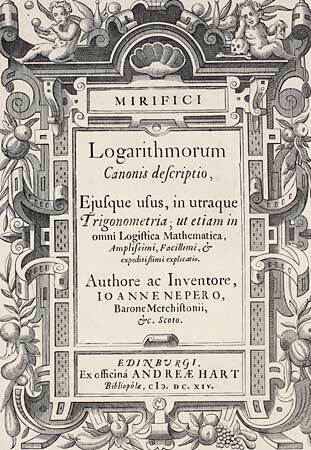 Napier invented logarithms in 1614. This new method of calculation allowed people to solve long, laborious arithmetical problems much more quickly and easily. It was particularly useful in navigation and astronomy. Schools and workplaces universally used adaptations of Napier's logarithmic tables right up to the 1970s, when electronic pocket calculators were widely adopted. 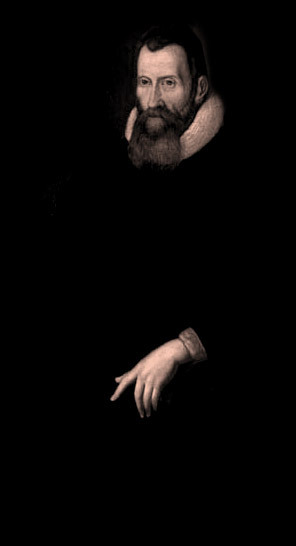 John Napier was born into a wealthy and privileged family at Merchiston, Edinburgh. He spent a short time at St Andrews University. Around 1564, he left to study in Europe, on the advice of his uncle, the Bishop of Orkney. As well as having a passionate interest in mathematics, Napier was interested in religious texts. This meant he needed to study Greek, which was not widely taught in Europe at that time. There were Greek scholars in Basel or Geneva, so he may have studied there. By the time he returned to Scotland in 1571, Napier was an outstanding mathematician, and was also proficient in both Latin and Greek. 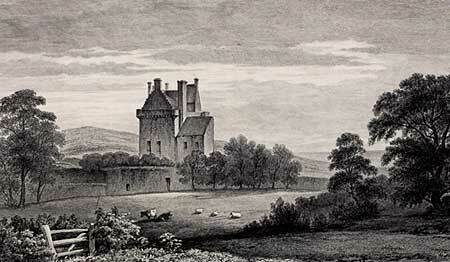 He married and went to live at the family estate at Gartness, Stirlingshire. There he lived like a hermit, spending much of his time in the study of mathematics. Local people thought this rather odd, and believed him to be a wizard. Fiercely opposed to the Catholic Church, Napier published a critique entitled 'A plaine discovery of the whole Revelation of St John'. This aroused much interest and made him well-known at home and abroad. Napier's first wife, Elizabeth, died in 1579. A few years later he married Agnes Chisholm and went on to have a large family. Arithmetical calculations could be lengthy and tedious in the 16th century, making it a very unpopular occupation. Napier set his mind to simplify them. In 1614 he published a work called 'Mirifici logarithmorum canonis descriptio'. In it he outlined the principles of logarithms, which he called 'artificial numbers'. The work was immediately appreciated and applauded by fellow mathematicians and others. Alongside logarithms, Napier invented several portable devices to use as calculators. The best known of these consists of a set of rods known as 'Napier's Bones'. Napier is also credited with bringing the decimal point into common usage. It had been in use in mathematics before this time, but not very widely. Against the threat of invasion by the Spanish Armada, Napier designed several weapons of war. Among them was a burning mirror which could destroy enemy ships. A few years before his death, Napier moved back to Merchiston Castle in Edinburgh, where he became known as 'Marvellous Merchiston'. He died in 1617. In our public poll, John Napier was voted the 10th most popular Scottish scientist from the past.